**We received a copy of this book in exchange for review. All thoughts are our own. The Funnel start when I come in! Let's be honest... what kid doeesn't love a good knock knock joke!? I know mine certainly does! But it's not just knock knock jokes he loves, but jokes in general. He loves making people happy, making them laugh. It's no wonder that he's been a big fan ever since he discovered the Laugh Out Loud Jokes for Kids books several months ago! Q: What's the worst thing to leave home without? Stuck in the car on a long trip? Bored out of your mind in a waiting room? Have a few minutes before bedtime? Then you have enough time to let your imagination run wild! · entertain everyone around you! More than one million copies of the Laugh-Out-Loud joke books have been sold. Grab your pens, pencils, crayons, or markers and see what all the fuss is about! 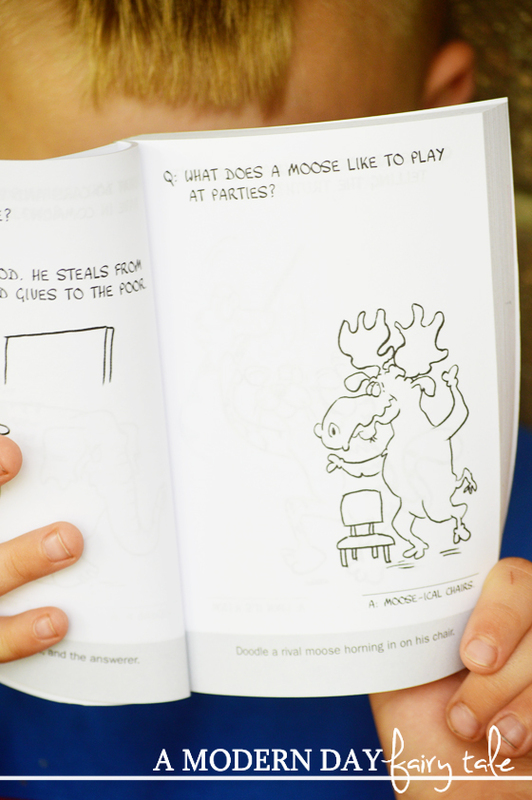 Rob Elliott is the author of Laugh-Out-Loud Jokes for Kids, More Laugh-Out-Loud Jokes for Kids, Laugh-Out-Loud Animal Jokes for Kids, Knock-Knock Jokes for Kids, and Laugh-Out-Loud Doodles for Kids. He lives in West Michigan, where in his spare time he enjoys laughing out loud with his wife and five children. Learn more at www.laughoutloudjokesforkids.com. Jonny Hawkins is a cartoonist whose work has appeared in over six hundred publications, including Reader's Digest, Parade, the Saturday Evening Post, the Chicken Soup for the Soul series, many page-a-day cartoon calendars, and Laugh-Out-Loud Doodles for Kids. He lives in Michigan with his wife, their three children, four cats, and a dog. As I said, this is NOT your ordinary joke book. As much as my son loves telling jokes, he loves to draw even more! He's constantly drawing little sketches of his favorite characters and logos, or creating his very own comic books. But there are times when he gets in that drawing mood but doesn't quite know where to begin. Haven't all of us creative people been there? I certainly have when it comes to writing! 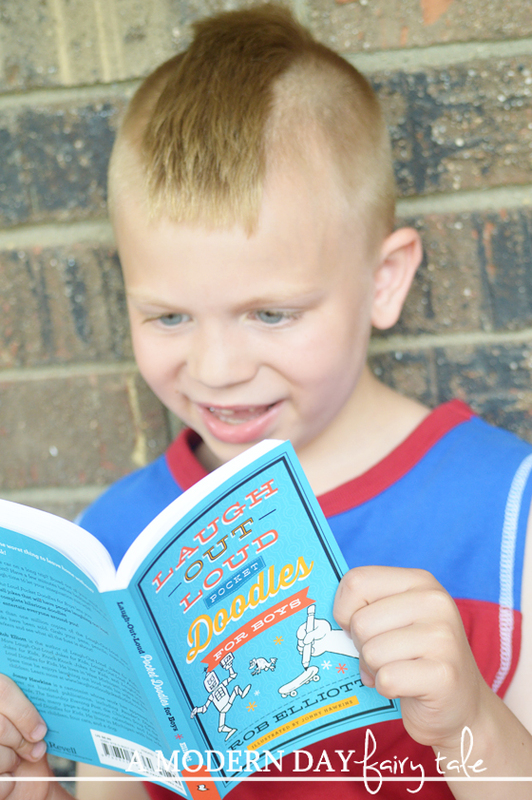 For the doodler, this book is the perfect solution. With each joke is a fun doodling prompt to go right along with it! They can still think out of the box and get as creative as they wish with it, but it gives them a starting point to go on... and can be a great way to expand their typical doodles too! Not only that, but its the perfect size for tossing into a suitcase, overnight bag or even backpack for on the go entertainment. From rainy days to travel to those random 'I'm bored' moments, this book is becoming a go-to! 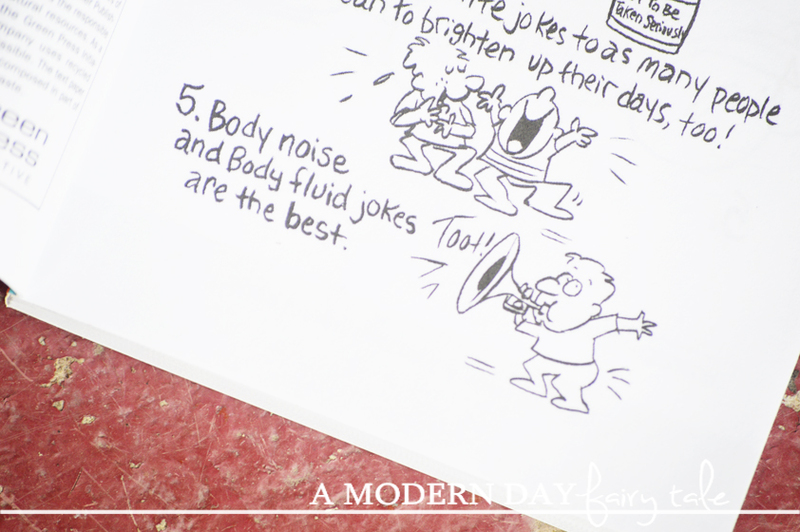 The book may be called Laugh Out Loud Pocket Doodles for Boys, but honestly it is perfectly suitable for girls as well. Still, there is a more girly version as well with jokes and doodles aimed more toward little girls than boys! Me: What's so great about Laugh Out Loud Pocket Doodles? Shaun: It's very, very funny. I like that I can draw in it. Me: What's your favorite thing to doodle? Me: Do you think other kids should have this book too? Shaun: Yep. Because it's funny. He's a boy of few words, but he truly loves this book! Your little boy can pick up his own copy today! Do you love a good clean joke? Share your favorites in the comments! Omgosh this is so cute!! Too old for my son at the time but I can't wait till he's older and can have this!! I love that it keeps them creative and gets their mind churning with these great jokes and riddles!! So fun! My son would really get a kick out of this and I'm sure he would be telling everyone jokes. I love books like this! It's sure to provide hours of fun! this is so cute it hurts!!! fun book and I love the haircut there - so adorable! Omg this is so cute!!! My little boy would love this! I totally agree, Boys love to tell jokes. Plus, they are gross. They love anything that involves bodily noises. These sorts of advances are exceptionally well known chiefly in view of that they are so natural to meet all requirements for and how quick the procedure is. This said and done, you might be cautious of utilizing a payday credit supplier. The truths are that they can furnish you with a speedy approach to get the cash you require.